But… don’t worry guys, the future is still bright. Competition for space on the internet has always been competitive since Tim Berners Lee launched the world’s first website in 1991 – which coincidently is still live today, visit http://info.cern.ch/ (take a look around if you have a minute). As more and more websites were created there needed to be some way of categorising and managing what was online. Hello Google, Yahoo and Bing. In fact, Excite was actually the first search engine to hit the scene. During these early stages high rankings were achieved by keyword stuffing and (often spammy) backlinks and it was Google coming to the fore in 2003 that sought to create a level playing field by penalising black hat optimisation tactics. As time passed a ‘user first’ approach to SEO was introduced; content became richer with news, images and video all becoming part of search engine results pages (SERPs). As better content was created there was a big change which forced brands to earn rankings through quality, user focused information. Major algorithm updates such as Google Penguin and Panda supported this and meant that a number of brands were penalised for previously used black hat practices. The need for delivering personalised results has also become increasingly prominent as results have become more optimised around user intent. So that’s where we’ve come from, but where are we at now? With everything we do we should always be thinking with the audience at the front of our minds in order to better understand them. Where do they hang out online? What are they interested in? What do they want to know? Once you’ve answered these questions then you’ll be in a much better place to begin finding and communicating with them. Think about building yourself some audience persona’s - I cannot emphasise enough the importance of personas. By building yourself some archetypal customers based on behaviour attributes such as demographic, bio, background, interests and what your audience are thinking, you can develop some really good insight into what messages you should be delivering. If you haven’t got audience personas for your business already, get them. Now don’t get me wrong, I don’t want us to be ignoring your website, but if your audience is not on site and are ‘hanging out’ elsewhere then focus some efforts there. Social channels or platforms like Trip Advisor and Rightmove can be incredibly important and already have an engaged captive audience. Link building or ‘link earning’ as I now like to call it is still an incredibly hot topic within organic search. It’s still a hugely important ranking signal and we must look at how we’re going to best develop these links - by building networks and creating brand content that is valuable. This is an area where social media can’t be underestimated, links and shares on Facebook, Twitter, LinkedIn and the like all help. TOP TIP: Identify targets to help build your brand and begin networking with them online, share their content on social and build a relationship. If your content is good enough it will get read. Think about your onsite and offsite content and treat it differently. Make sure onsite content is relevant and well written to engage users and drive shares. Carry out comprehensive keyword research and theme your content accordingly to match the searches and needs of customers where possible. You can use free tools such as the Google Keyword Planner and Google Suggest to help you. When writing blogs have a think about what questions your customers or potential customers ask. You can reframe content ideas based on search data and relabel blog titles based on interest in phrases. We’ll go into this in more depth later. 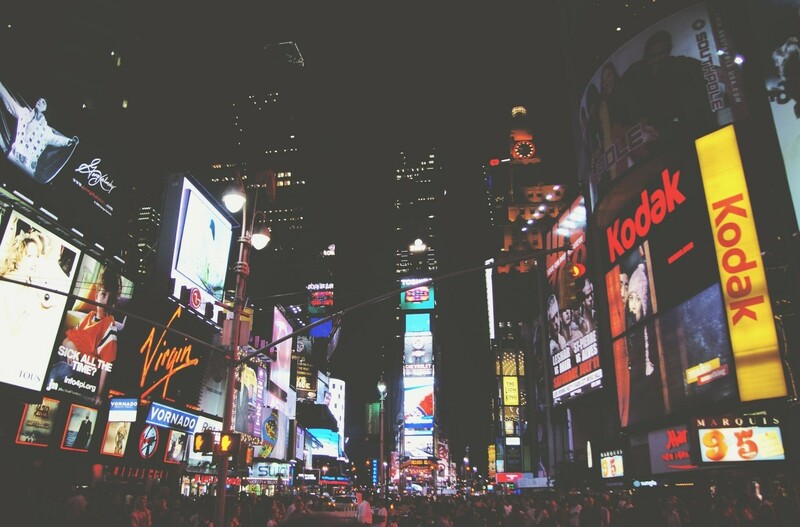 Offsite content has to put the audience at the heart of it. Target relevant sites where your audience operates and provide this site with content that is of value to the audience. TOP TIP: Make sure each piece of content focuses on what your audience wants and the benefits they’ll get from reading and not what you want to tell them. Local search has evolved too. With the personalisation within search engines it’s much more realistic for local brands to appear in front of the customers that will be interested in their products or services. However there are a number of optimisation methods which remain the same as what has been done historically. One example is citations which are still very important. Citations are mentions that include a name, address and phone number on a site other than your website e.g. Yell.com. Many well-known directories appear on page 1 of the search engine results pages and appearance on these directories will help lead to better brand visibility. Target the sites that are important for your core product/service area and then look to get coverage. TOP TIP: Register with Google My Business and add complete business information. Again, make sure the address matches exactly what is shown on your website. You can then markup your pages with organisation schema to allow your business to appear on the right hand side of the search engine results page, giving you more real estate on brand terms. e-Commerce is one of the most competitive areas online and big brands dominate search. Therefore we need to be smarter in how we promote our products. You no longer need to compete with these big brands directly, instead use them to help with your site rank and potential traffic. Amazon as an example is actually one of Googles biggest competitors. 44% of consumer searches start directly on Amazon – it’s a search engine in itself. TOP TIP: Use sites like Amazon to help you, set up shop and sell your products on these platforms – there’s an active audience already existing using Amazon like a search engine – don’t ignore this audience. Search via mobiles continues to be a dominant force. The term ‘mobilegeddon’ is one that’s been thrown around a lot over the last few years and 2016 is promising to be even more competitive in searches on mobile. 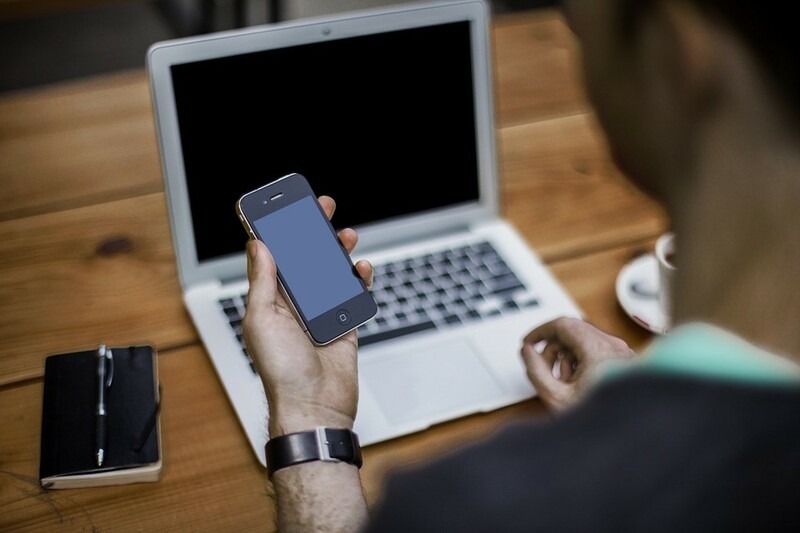 Just last year Google announced that it had made mobile friendliness part of its algorithm for ranking on mobile search queries and with mobile search now so important site owners are doing themselves a real disservice if they don’t optimise for mobile accordingly. TOP TIP: Find out what Google thinks of your sites mobile friendliness with their mobile friendly test tool. Behaviour on social is changing and social platforms are well aware of this and keen to keep viewers on their sites and in their apps. Over the last year social platforms such as Facebook, Twitter and Snapchat have all released new features to offer more prioritisation to content. On Facebook for example you can now search for content just as easily as you can search for people. From the totalled 1.5 billion daily searches more and more of these searches are targeting content and not just people. 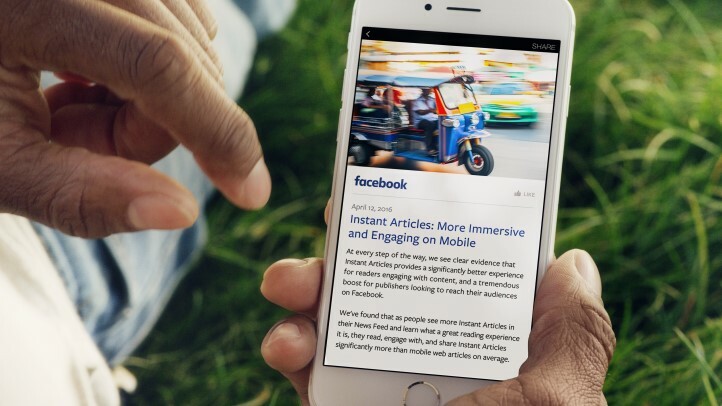 Facebook has therefore released Facebook instant articles where Facebook retain the full content on their platform rather that requiring users to click off. Sources say that Twitter has already mapped out its version of longer form content within its Moments section of the platform – watch this space. Personlisation within search results has been around to some degree for years. But it’s now more important than ever. Search results will vary dependent on geography, search history and even social connections. Google is desperate to give the user the best possible results for their query and semantic search is used as way of helping to deliver this. “Semantic search is a data searching technique in which a search query aims to not only find keywords, but to determine the intent and contextual meaning of the words a person is using for search. Within semantic search there are two aspects of a query; the explicit aspect and the implicit aspect. 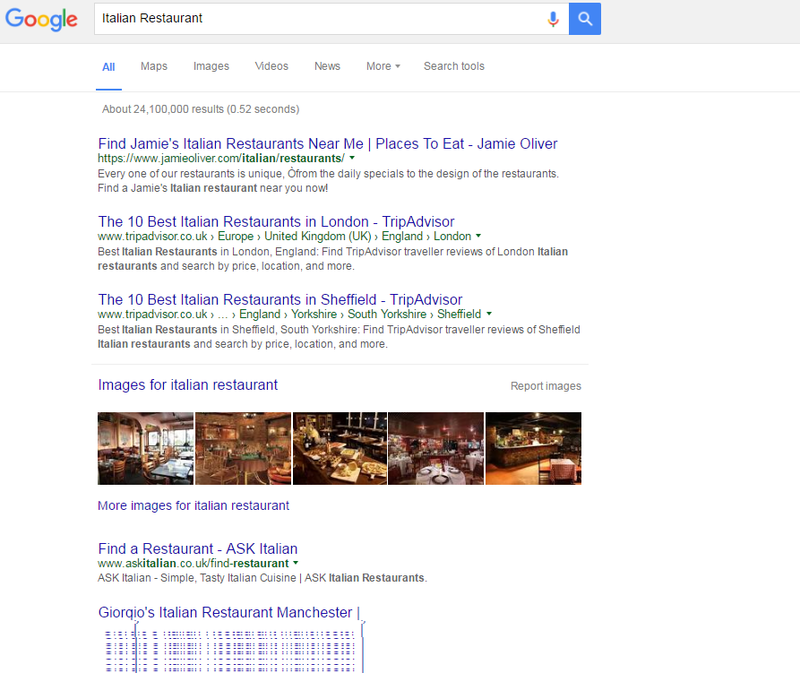 The explicit aspect of a query is what the individual is explicitly searching, for example, ‘Italian restaurants’. The implicit aspect of the query is a signal that suggests something about the user. It’s a signal that is taken from your data. It could be: search history, location, language, browser, device, social connections or time of day. Each of these implicit signals is then used to deliver the most relevant search result to the user. 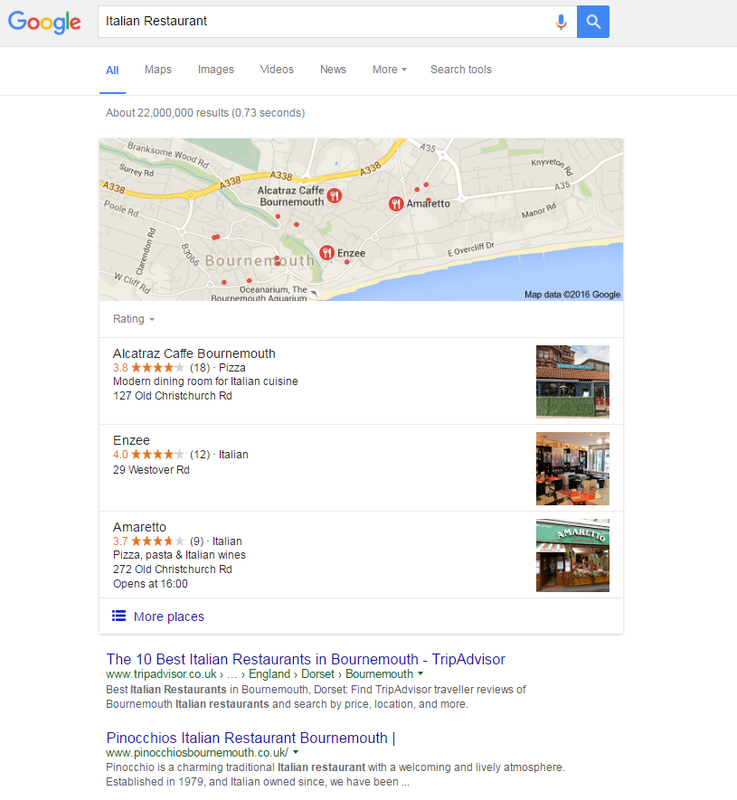 So, if you take our Italian restaurant example, a normal search without any implicit aspects would show results for large restaurant chains and aggregator sites like Trip Advisor. If we were then to search with an implicit signal included – this time our location – which in this instance is Bournemouth we’re provided with a different set of results. As you can see the results that are provided are extremely different. As time goes by more and more implicit signals are brought in to alter the returning search results. Compound queries are used when you want to combine the result of two other queries to come up with a new set of results. Through a compound query your previous search result influences your next queries results. In this instance, after evaluating the results we got, I don't make a new query but instead a ‘Query Revision’ which relates back to that initial query. For example, after searching "Southampton Football Club" and being delivered results about the club, I might follow up with "How are they doing this year?" and get delivered information about where they are in the league. Followed by “Who are they playing next?” and get information about who their next game is against without actually using the term Southampton Football Club in my second or third searches. There are a number of personal assistants on the market such as Apple’s Siri, Amazon’s Alexa and Microsoft’s Cortana. Connected devices like the smart watches speakers, lights and even things like fridges are connected to the internet to not only make the consumers lives easier but to allow businesses to deliver more personalised messages as a result of the data that is collected by them. We know it all changes in an instant within organic marketing which can make it tricky but is ultimately why it’s so great to work in this industry. While the past has all been about optimisation and tactics on page, the present is about focusing on your audience and using all the information available to deliver a personalised marketing that appeals to them. Only time will tell where we go in the future, but it’s hard to envisage where personalisation will all end as newer and more advanced technology is introduced and more and more personal data is acquired.